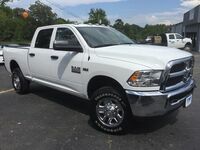 If you're someone that depends on their truck to make a living, you know what you're looking for. Drivers like you need a truck that's capable, powerful, rugged, and, most of all, reliable. 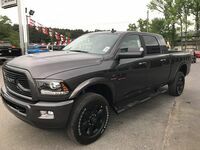 the 2018 Ram 2500 in Clinton AR is just that truck. 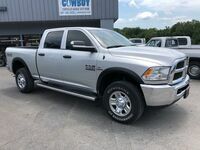 No matter which job you need to get done, the 2018 Ram 2500 can make easy work of it. 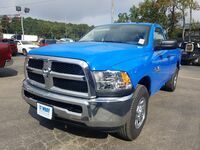 Drivers can select between three powerful powertrain options to customize their truck for their specific needs. 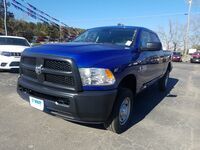 The 2500's 5.7-liter HEMI V8 engine offers drivers up to 383 horsepower and 400 lb-ft. of torque. 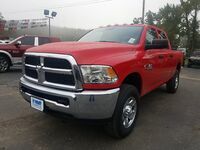 The next option is a 6.4-liter HEMI V8 engine which produces up to 410 horsepower and 429 lb-ft. of torque. 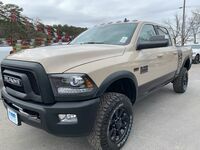 There is also a 6.7-liter Cummins Turbo Diesel I-6 engine on offer that provides 350 horsepower and 660 pound-feet of torque when you pair it with a six-speed manual transmission and 370 horsepower and 800 pound-feet of torque when you pair it with a six-speed automatic transmission. Whatever the job, there's a configuration that can get it done. All of these options help the 2018 2500 tow up to 17, 980 pounds and haul up to 3,060 pounds. 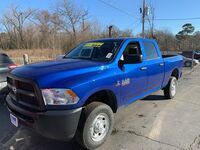 Interested in a 2018 Ram 2500?